Last Monday, U.S. President Donald J. Trump went up on the stage of the Ronald Reagan Building in Washington, DC, to deliver his first national security strategy. “We will continue to partner with Afghanistan to promote peace and security in the region,” the document said. But while Washington is attempting to redouble its efforts to bring to an end the longest foreign war in U.S. history, Pakistan and Afghanistan are suffering from a new outbreak of violence that has already claimed dozens of lives. In the past several weeks, the Islamic State claimed responsibility for deadly attacks in Pakistan’s Quetta and the Afghan capital of Kabul. At the same time, the Taliban carried out an attack in Helmand Province, killing 11 police officers. And while Mr. Trump was outlining his new security strategy, Kabul was recovering from an attack on an intelligence agency training center, which was also claimed by ISIS. 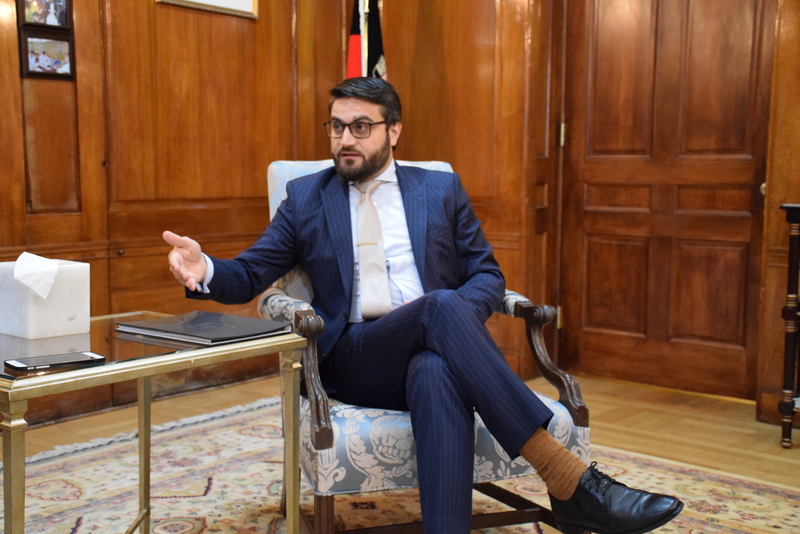 As Washington continues to take steps to implement its new Southeast Asia strategy, Afghanistan’s Ambassador to the United States Hamdullah Mohib sat down with The Globe Post to discuss the situation in his country and the government’s efforts to address existing threats. In 2017, the Afghan National Defense and Security Forces (ANDSF) began the third year of full responsibility for their nation’s security. It started with a new plan to end the stalemate with the Taliban and restructure forces to make them more lethal in the upcoming years. Meanwhile, U.S. Special Inspector General for Afghanistan Reconstruction (SIGAR) reported that the ANDSF were suffering unsustainable casualty rates, Taliban insurgents and terrorist groups operated in much of the country, and large areas of Afghanistan were no-go zones for foreigners. However, the grim reports may not be fully presenting the situation with the Taliban in the region. 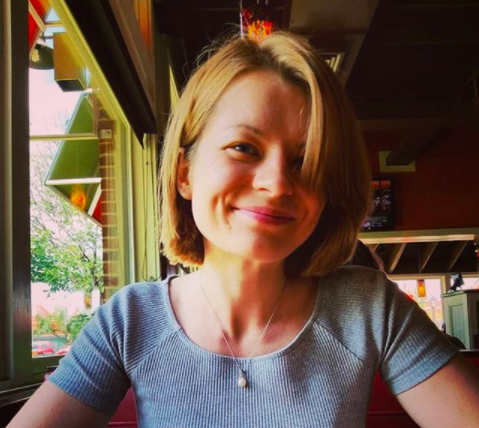 Over time, however, especially after the end of 2014, when foreign troops withdrew from 90 percent of Afghanistan and only held a few small quarters, the Taliban committed “the worst atrocities against the Afghan people” in places where there were no foreigners. “They attacked mosques, they attacked banks, they attacked people going to work, they attacked journalists… It became so widespread, that’s when the support for the government even grew further,” Mr. Mohib recalled. The ambassador said sympathies for the Taliban went down from 60 to about 22 percent. “The Taliban can make all the claims they want to make in terms what they can win. The only thing they have won is more death and more hatred coming from people,” Mr. Mohib said. In an attempt to find a solution to the ongoing conflict in Afghanistan, Washington floated the idea of engaging the Taliban in the political process. U.S. Secretary of State Rex Tillerson said in October that there were “moderate voices” among the Taliban who did not want to continue to fight forever. “They don’t want their children to fight forever… So we are looking to engage with those voices and have them engage in a reconciliation process leading to a peace process and their full involvement and participation in the government,” Mr. Tillerson told reporters. Mr. Mohib said the Afghan government remains open to such a possibility. “The Afghan government has always had its doors open to peace negotiations. That will continue to be the case,” the ambassador said. In August, President Trump unveiled a long-awaited strategy for resolving the nearly 16-year-old conflict in Afghanistan with hopes to reverse the stalemate with the Taliban. The U.S. leader said it was time to end the strategy of “nation-building” and focus more squarely on the terrorist threat in the region. The new plan called for a troop surge and a regional approach that envisions more active engagement of Pakistan. 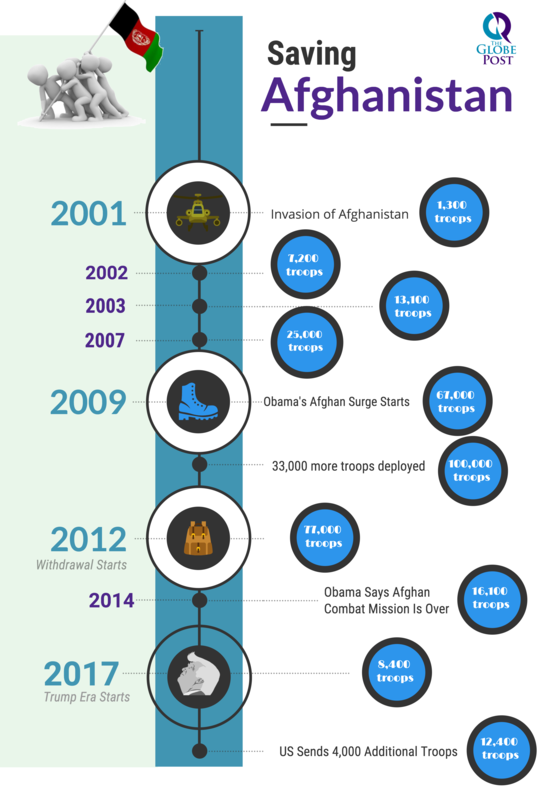 Timeline: The presence of U.S. troops in Afghanistan. “We welcomed the strategy as soon as it was made public and were heavily engaged in the process as the decision was made. Of course, the decision is an American decision… but our engagement was on how and what we need to do together, what are the needs, and what would lead us to success,” Mr. Mohib said. The ambassador said Afghanistan agreed to all of the strategy points developed by Washington. Afghanistan wanted a discussion around the situation rather than troop numbers, the ambassador said. Unlike previous plans, the new strategy is based on conditions. It also has a regional aspect to it that seeks to eliminate terrorists’ safe havens in Pakistan. “This is a great opportunity: now that there is a renewed support in fighting terrorism that Pakistan also starts to play a constructive role in ending terrorism in the region,” Mr. Mohib said. The ambassador noted, however, that Kabul is yet to see a shift in Pakistan’s approach. “We haven’t seen a shift in strategy yet, but we are always cautiously optimistic about what can change. It is in the interest of Pakistan that they take this opportunity to work with us and to work with other regional partners to end terrorism,” he said. Economic development was the third element of the strategy Afghanistan has been longing for. “Without an economy, we cannot build the kind of stability that we want… Once we clear an area of terrorists, we need to be able to stabilize it, and those stabilization operations would largely focus on aid delivery and short-term deliverables. What we wanted to do [was] to have an economic prospective that is more enshrined in the Afghan resources so that it can generate the lasting job, sustainable job,” Mr. Mohib said, noting that the new U.S. administration’s strategy included all three elements. At the present, the Afghan security forces are at the frontline of the war. “They proved that we have – despite lack of resources, and despite difficult circumstances – the commitment to defend Afghanistan’s territory, and the sacrifice Afghan security forces were enormous,” Mr. Mohib said. “What we needed is not a large surge that everybody had been anticipating. What we needed was the support to be based, customized to Afghanistan’s needs and current circumstances and situation,” he explained, noting that the Afghan Security Forces needed enablers. 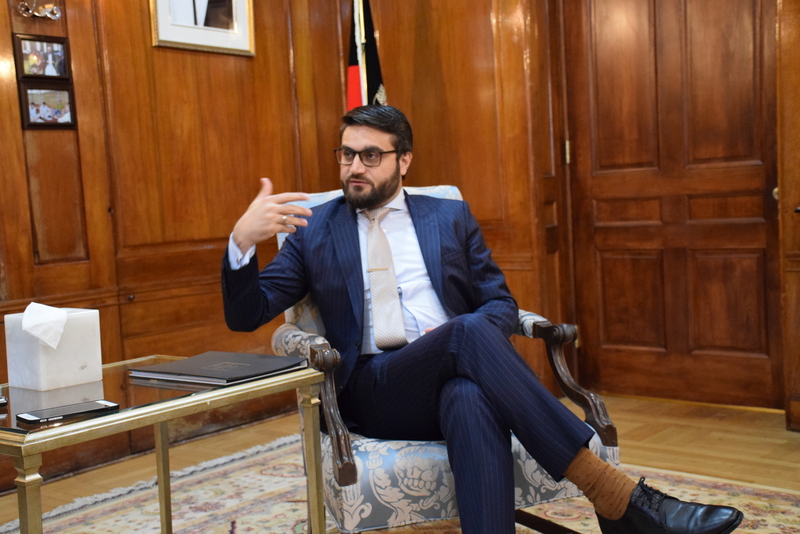 Mr. Mohib said Kabul also needed to build its own capabilities internally and to improve and reform some of the security forces that have already been built. “People forget that the Afghan Security Forces are only about 15 years old. They are not old military. Although we have people in the military that have had a lot of experience, but this current set-up was recently made, and for it to work and to deliver at a level where the expectations are of a mature military is where I think the adjustment was required,” the ambassador noted. He added that Afghanistan still needs support in making its logistical capabilities better. “We need adjustment and reforming some of the functions that we currently do, getting better surveillance and better information monitoring, and then dissemination of information, and not just information but also equipment and food, everything that needs to be organized,” Mr. Mohib said. At present, Kabul has a four-year plan on rebuilding its military, and the international community is supporting its effort. Kabul is also incorporating the border police into the Afghan military. As troops have increased attacks on militants under the new U.S. strategy, the United Nations started to ring the alarm bell about the growing number of civilian casualties in Afghanistan. The international organization said in October that civilian casualties from Afghan and American air strikes grew more than 50 percent since last year. “Afghanistan had 75,000 casualties in the last two years. 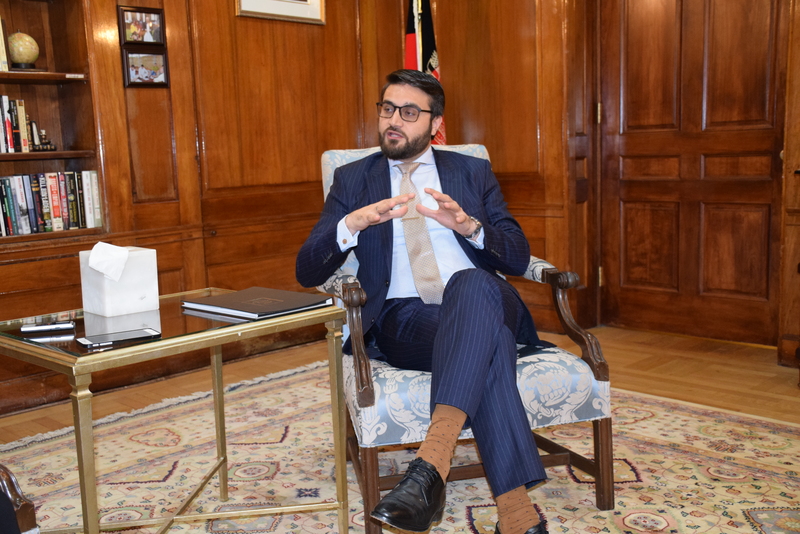 The targeting of the Afghan civilians by the terrorist groups has resulted in… us trying to garner more support from the international community,” Mr. Mohib said. “We must be able to first really investigate. And we have seen in the past few weeks where Taliban makes accusations that there had been civilian casualties where there hadn’t been,” he said. “Areas are cleared ahead of time, and there is a tremendous amount of effort that goes into planning any operation and ensuring that there are no civilian casualties. That is the utmost top priority for Afghanistan and for our international partners. We want to be able to protect our civilians, not hurt them,” Mr. Mohib stated, noting that the media and other actors should verify claims before they turn to accusations. “We investigate every claim vigorously,” he added. Despite all the difficulties that Afghanistan has to overcome on the daily basis, the nation remains strong in spirit. “No matter what the circumstances, we still live in that country. Forty years of war have not broken us. It is a nation that continues, that defies all that has been brought upon it, and it continues to stay strong,” Mr. Mohib said. The ambassador noted that a generation has grown in Afghanistan that understands the complexities of the war, where it started and how to end it. It is working “at every level” to end it. “That generational change in Afghanistan is the greatest opportunity for our stability, but it is also not just for us. This generation knows the region extremely well. Any Afghan you meet will at least be trilingual. This is the country that is really at the heart of Asia,” Mr. Mohib said.